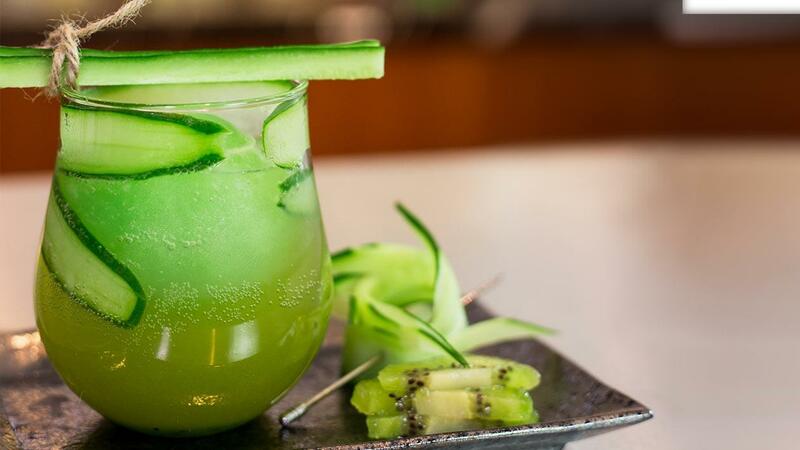 Cucumber lends a refreshing quality to this drink perfect for Malaysia's hot weather! Combine 5ml Monin kiwi fruit mix, 10ml Monin cucumber syrup, and 100ml water. Pour into ice ball mould and freeze until set. Pre-dilute Knorr Lime Powder (1 teaspoon of powder with 3 teaspoons of water). This will give you 15ml of diluted lime powder. In a serving glass, add in 100ml pre-brewed tea, 15ml of pre-diluted lime powder, 15ml Monin cucumber syrup, and 15ml Monin kiwi fruit mix. Add in Kiwi Ice ball and soda.